NCsoft� Europe, the world’s leading publisher of online computer games is pleased to announce the launch of the Lineage� II Limited Collector’s Edition. This limited edition version is the ultimate collection for hardened fans and provides new players with a host of incredible, exclusive extras as they embark on their adventures in this stunning online role-playing game. Lineage II is an epic massively multiplayer online fantasy adventure in which players must work together ? and against each other ? for economic and political control of the captivating Kingdom of Aden. 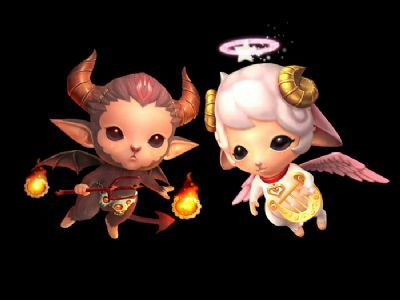 Since its global launch in 2003, Lineage II has been an unprecedented sales success, with more than 17 million players worldwide and a universally acclaimed reputation as the premier player-versus-player MMOG. Within the Limited Collector’s Edition, players receive the current version of the Lineage II game client; The Kamael?. The first chapter in The Chaotic Throne? saga and the largest update to Lineage II yet, The Kamael introduces a whole new playable character race along with numerous game enhancements courtesy of the brand new Hellbound? update. The Limited Collector’s Edition also contains three game account codes ? a full 30 day activation code, 14 day buddy code and 14 day trial code ? together with an additional 15 days game time code, each printed on an attractive collector’s art card*. In addition, owners of the Lineage II Limited Collector’s Edition also benefit from three exclusive in-game items that help enrich the player’s online enjoyment. These consist of the Black Half Mask accessory item, the Pig Lollipop, which allows players to transform themselves into a pig, and a token for discounts on the new Lineage II server features, such as name/gender change and character/server transfer. Also included is a stunning 148 page, ?The Art of Lineage II? artwork book, filled with examples of Lineage II’s strikingly beautiful character design, an exclusive mini-standee and a hand painted, limited edition Kamael statue, of which just 5500 have been produced. As a special bonus, 50 lucky Collector’s Edition boxes also contain a premium ‘golden ticket’, which is redeemable for a beautiful and extremely rare Dark Elf figurine. Rounding out the Lineage II Limited Collector’s Edition are: an updated official soundtrack CD, featuring Hyo Beom Lim and Inon Zur; two exclusive A2 posters that combine to form an enormous A1 size image; and the official Lineage II map, reprinted on A2 ?vintage? paper. Mirko Gozzo, Marketing Manager at NCsoft Europe said: ?Lineage II is one of our most popular and enduring titles and we are delighted to be celebrating its continued and growing success with such a fantastic Collector’s Edition. This limited edition box set is sure to be the centrepiece of many a gamer’s collection for years to come.? 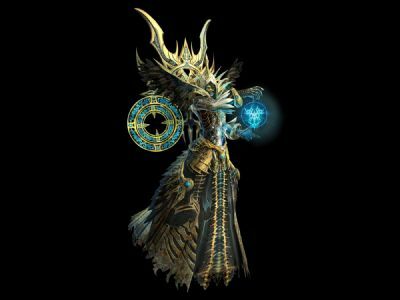 Both Trial and Buddy codes allow the user 14 days of play within Lineage II: The Chaotic Throne. Once a Trial account expires, to continue, purchase of the full version of Lineage II: The Chaotic Throne is required. When a Buddy account expires the user may continue by adding more time to their account, either by NCsoft Game Time Cards or account subscription via eu.plaync.com (no box purchase is neceesary). Game Time Codes are used to increase subscription within the game. Time is increased via the accounts page within PlayNC. Sam, 21, recently graduated music & theology student. I live in Coventry, and currently work as a waiter in a hotel, which isn't the most glamorous job, but it's paying off my debts. My first experience of gaming was bubble bobble on the commodore 64, and I've been pretty much hooked since. I really enjoy the old point & click adventure games, and adventure platforming games in general.